And Dr. Manhattan’s getting chubby for the occasion! Cowboy, up! 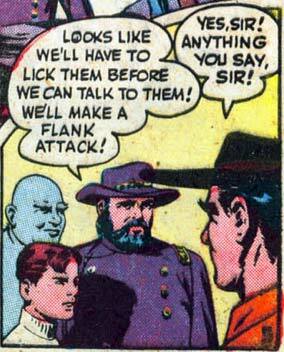 Flank-licking is illegal here in North Carolina. That’s Kid Eternity’s Angelic Sidekick!